Winter is Closing In… Are You Listening? We’re in a time of darkness; short days and long, cold nights, the moment when seeds lay dormant beneath the earth, animals hibernate, and the weather makes you want to curl up with a blanket and cocoa, go inward and sloooooow down. The problem is that we tend to ignore these natural cues that remind us we are actually humans of the earth (as opposed to robots). We go quickly from event to event, powering through the work we need to complete, forgetting about the necessary ebb to our flow. But in fact, archetypally, winter is the perfect time for rest, reflection, taking stock of our lives and businesses, visioning and planning. This post is an invitation to capitalize on this annual opportunity by carving out time both for the deep rest and rejuvenation of your body and mind, and for the reflecting, visioning, and goal-setting that can help make 2016 your best year yet. (At the bottom of this post, you can download a guide that will help you do the latter). Take a look at the Natural Business Cycle diagram (or go here for a more detailed explanation). It is based upon the fundamental natural cycle, which includes that of a tree or plant, as well as the cycle of the day, the cycle of a year, and the cardinal directions. Dormancy, at the top, is where we are at now. All parts of the cycle are essential… the times of producing, hustling, and offering, as well as the times of learning, reflecting, and planning. Observing our bodies’ – and our businesses’ – needs for the Dormancy stage is necessary for our own personal growth and development as well as the growth and development of our businesses. In fact, it is actually our responsibility; in order to feed the fire of our vision and have the impact we desire and that the world desperately needs, we must feed ourselves first. You know how they say on the airplane to put your own oxygen mask on before you help others? Same thing. We have to fill our own cups in order to serve. When we pause on a regular basis, we not only find new inspiration and energy, we can see where we’ve gotten off course and get back into alignment. Why? Because it’s easy to chase what feels urgent in the day-to-day of our business and life activities, but it’s not always what’s most important or most aligned. If we don’t mindfully go back to our vision, strategy and goals again and again, we can end up with a business, and a life, that looks and feels nothing like the one we actually want to be in. in our lives to come to know our values, desires, visions, and gifts, we can then adjust our work to align with them and be of the utmost service to the world. And, business is an iterative process… we continue to cycle around the wheel. If we are conscious about it, it is a spiral that deepens and clarifies over time. By taking a step back, we get the big picture view essential for evaluating, realigning, and making conscious changes for the future — one of the most important factors in building a successful business and creating a fulfilling life. Not only that, but setting clear intentions and goals sends a powerful message to the Universe, (if you believe in that kind of thing). There’s something about owning what it is we want to create that encourages all the right things to fall into place to support us. Planning is a gift that will carry you through the year. And this is the perfect moment to take advantage of it. The first thing to do is to commit. Get out your calendar now and block out anywhere from two hours to two days for your annual reflection and planning process. Each year, I take two weeks in the winter for this stage (I’m aiming for four next year). I spend one week completely unplugged. 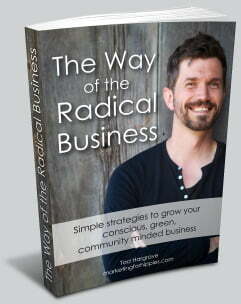 I spend the second week doing big picture dreaming, creating, writing, visioning, goal setting and work planning. When you schedule this annual rest and reflection time, also put a quarterly reflection time in your calendar. A couple hours every three months will do. You will use this time to reflect back on the intentions and goals you set in the winter, see how you’re progressing, and make the necessary and inevitable adaptations. You may know exactly what to do with this time. If so… go for it. 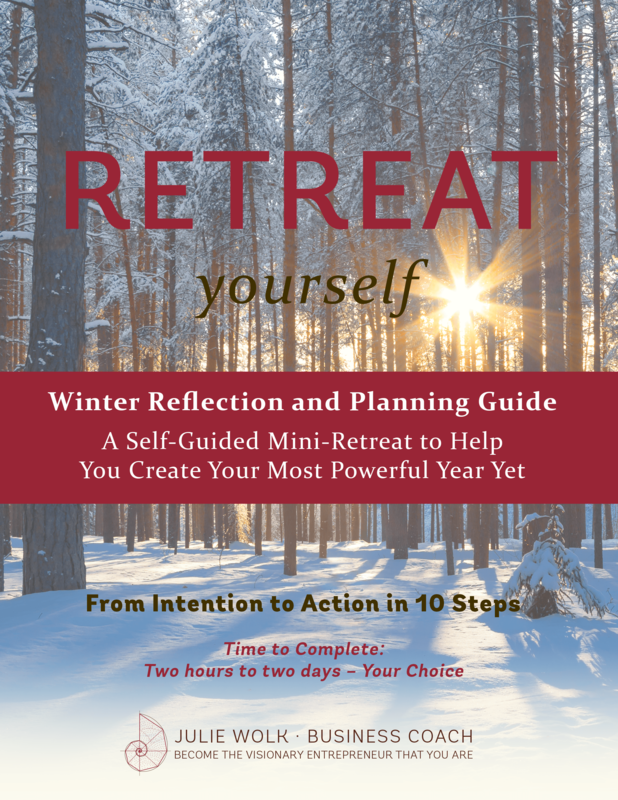 If you need some support, you can download Retreat Yourself: Winter Reflection and Planning Guide (a Self-Guided Mini Retreat to Help You Create Your Most Powerful Year Yet). In the guide, you will find a series of reflection and planning exercises intended to help you tie the bundle on the last phase and get a fresh start on the new one. Simple instructions on how to create a retreat experience in your home are also inside. Take a stand this year for slowing down, creating space, and listening for what’s important. It is something we lack greatly in our modern society, and this lack has led to much of the environmental destruction and other devastating events that we see on the news each day. With blessings for a nourishing winter and a miraculous 2016… personally, professionally, and for the world. 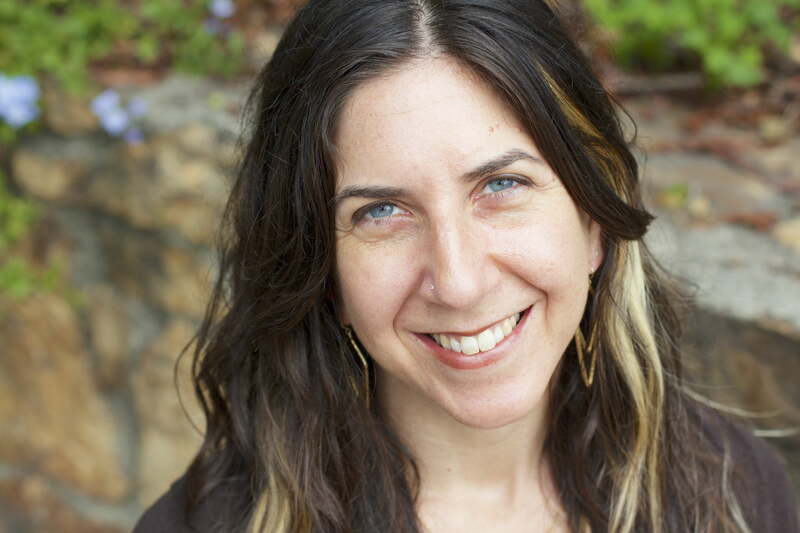 Julie Wolk, Business Coach, CPCC, helps purposeful entrepreneurs (coaches, consultants, teachers, healers) who are excellent at their craft but struggling on the business side, get super clear on their vision, strategy, and action plan so they can make more money and a bigger impact. 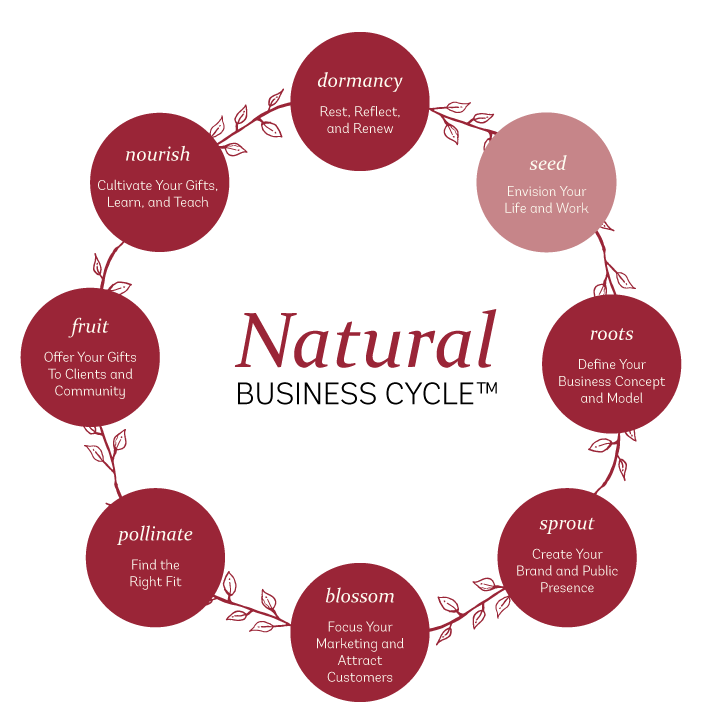 She developed the Natural Business Cycle, a unique and overwhelm-reducing business development model based on the natural world.